Unrelated to herping other than in nomenclature, I’ve launched a Web site for my graphic design work. If you know anyone looking for pro-level creative services of any type, send them to zigbotmedia.com. 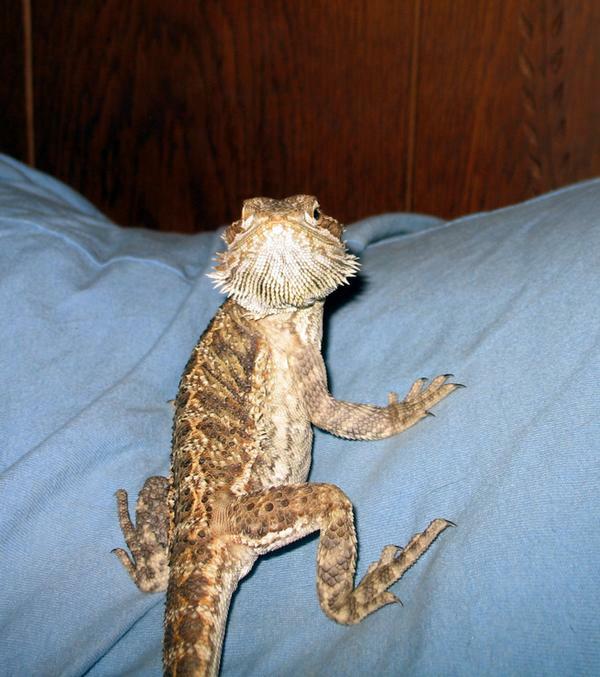 I guess I could mention here that the logo and name are in honor of our pretty yellow female bearded dragon, Zigbot, shown below. When I drew the logo originally, she was fairly young and really feisty at all times. Now she’s a big fat slug of a lizard who’s lost the devious face I had in mind. Oh well, nice memories. Wow, I just spammed my own site. I’m not sure how to feel about that. This entry was posted on Friday, February 22nd, 2008 at 11:18 pm	and is filed under Personal. You can follow any responses to this entry through the RSS 2.0 feed. You can leave a response, or trackback from your own site.